Yoga is derived from the Sanskrit word “yuj” which means “to join”. Yoga is the oldest and ancient exercise format followed in India since 5000 years. Yoga focuses on strength, flexibility and breathing to boost mental and physical well being. Yoga comprises of postures called Asanas, breathing techniques and meditation. 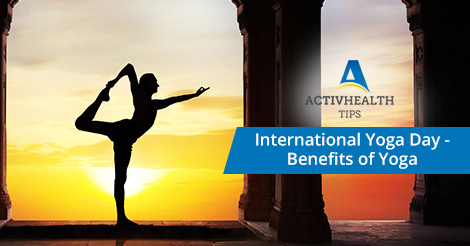 Yoga is gaining importance in all other parts of the world because of the health benefits. Yoga offers multiple health benefits of which few are named. Care should be taken to practice Yoga under the supervision of an experienced hand.